In 2019 we are running this trip for small groups on a private or custom basis only, on the dates of your choosing in July, August and September. 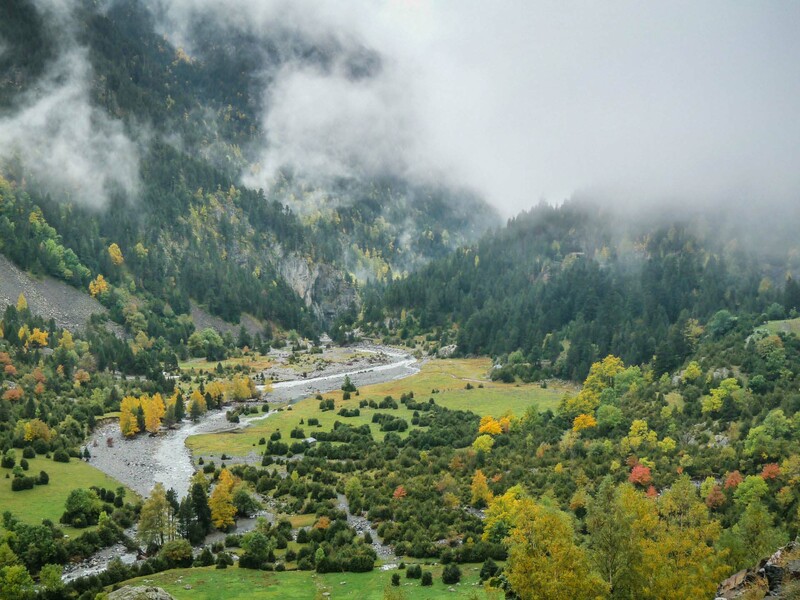 This tour explores the Posets-Maladeta Natural Park, a protected area with the greatest concentration of 3,000 meter peaks in the entire Pyrenees. 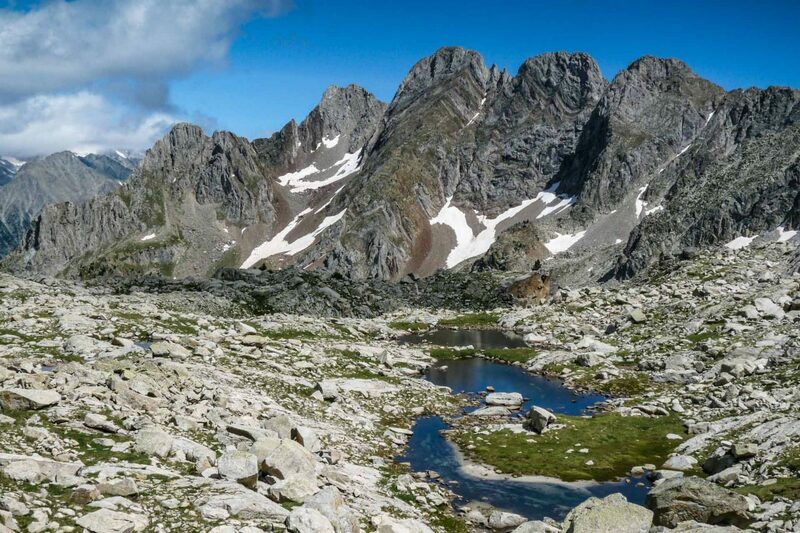 Our route is a 3-day circular trekking circuit around Pico Posets, at 3375 meters, the 2nd highest peak in the Pyrenees, sleeping overnight en-route in 2 mountain huts in superb settings in the high valleys. 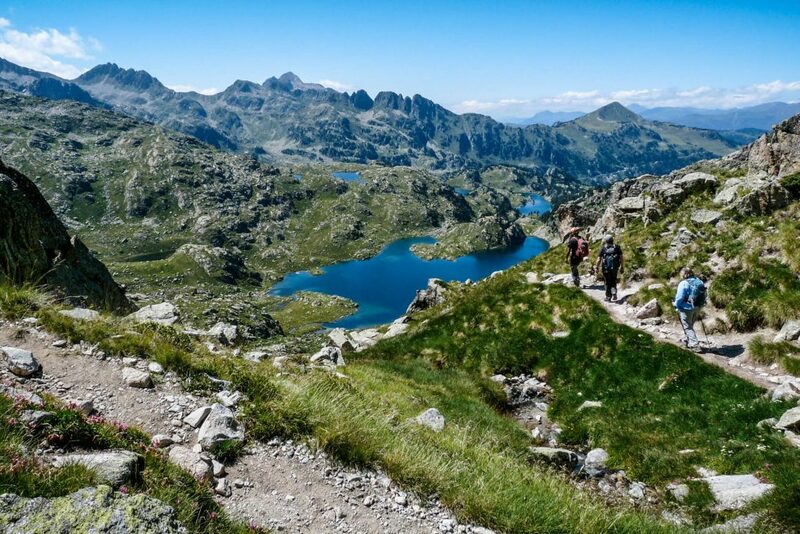 Our experienced local mountain guide will provide the added measure of safety to allow you to fully enjoy this classic trekking route in some of the most spectacular and remote terrain in the entire Pyrenees, the massive natural boundary between France and Spain. This exclusive guided Iberian Adventures trip in the High Pyrenees is offered for a minimum of 2 people. A 6 day 5 night version of this trip, with 1 extra day of trekking is available, by adding a night in Benasque. Consult us for more details! A self-guided version is also available, for strong hikers with proven mountain experience only. 285 km NW of Barcelona. 3 hr 30 min by car. Self-drive with a hire/rental car is the most convenient option as it will give you more flexibility regarding your plans before or after the hiking itinerary. Taxi from Barcelona (3 hr 30 min). You’d have to buy your own rail tickets (www.renfe.com). We can arrange all taxi transfers, which you can pay for directly with a credit card or cash. Consult us for prices and more details. Mostly mountainous terrain throughout. Frequent steep and/or rocky ascents. Typical walking surfaces include medieval “paved” paths and sheep drovers’ trails, short sections on dirt forestry tracks, grassy meadows and rocky mountain paths. Occasional easy trackless sections marked with cairns. For nights in hotels/inns, many choices available, including: 1* (excellent) family-run hotel in the Chistau Valley (10 km/6 mi from the trailhead). Several good 2* hotels in Aínsa. 5* hotel in refurbished monastery near Aínsa. July 15 – Sept 30. Earlier in the season there is usually still snow on the high passes that are crossed on this route. 1 high-quality topographic map (1:25,000 scale) and 1 set of daily route notes & supplementary topographic maps with hiking routes marked. Hotel contact information, local transport schedules and other information necessary to complete your itinerary. One set per room. Traditional mountain culture – The valleys in this area preserve traditional landuse practices in which the relationship between humans and the environment have evolved over the centuries in a balanced, intelligent and sustainable manner, for mutual benefit. Glorious views, exuberant flora and abundant fauna – a nature photographer’s dream. Marmots and chamoix observe us from rocky perches and birds of prey soar overhead, including the Lammergeier – one of Europe’s rarest birds of prey. A great location for alpine flowers, including the famed Eidelweiss – many mountain wildflower specialists consider the Spanish Pyrenees one of the best sites in the world. 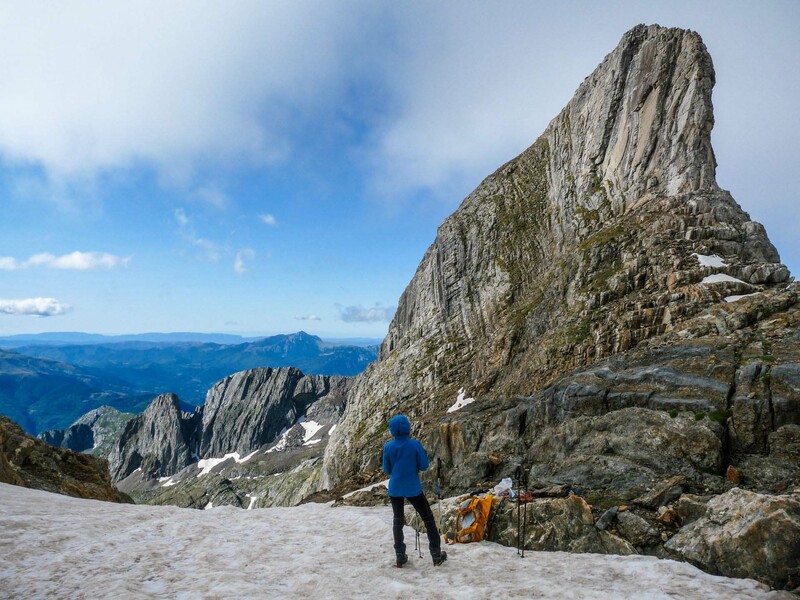 A world-class mountain environment – for the Spanish mountaineering and climbing community, the Posets-Maladeta area is perhaps the country’s top location. Nearby Benasque is the home to the Spanish Mountaineering School. 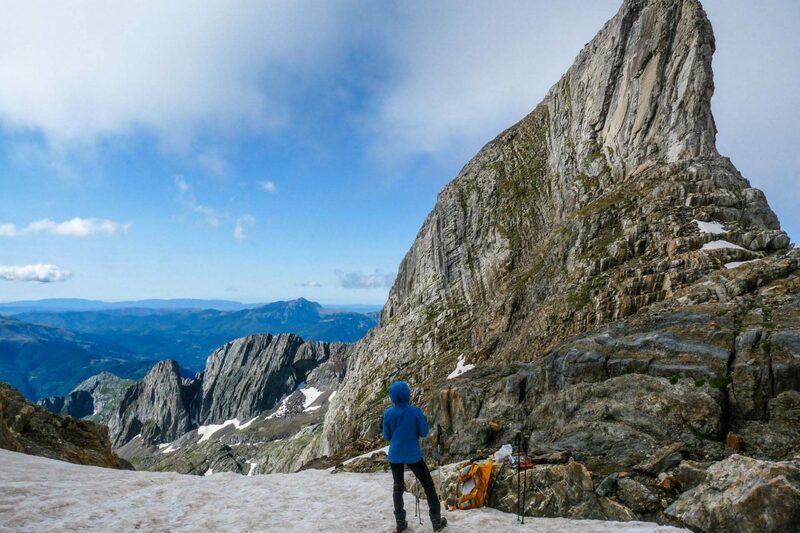 The area offers myriad opportunities for ice climbing, alpine and ski mountaineering, traditional and sport rock climbing, via ferrata, parasailing, mountain biking, etc. Certified Professional & Local Expert Mountain Guide – this adds an extra measure of safety and allows you to access more adventurous terrain and learn more in-depth about the area’s fauna, flora etc. Our guides are locally born and raised! Optional Posets summit ascent – add an extra day to climb to the summit of Pico Posets, 2nd highest in all the Pyrenees – a non-technical hike – with an elevation of 3371 meters. AUGUST ONLY. Aínsa – where you’ll stay on your first and last nights – one of the most attractive historic towns in the Pyrenees, strategically located at the confluence of the Cinco and Ara rivers, with impressive views of the Pyrenees. Various accommodation options depending on budget. The town is easily accessible from Barcelona or Madrid. Various accommodation options in this area, or in the Valle de Chistau, just 10 km from the hike trailhead. 2 Mountain Huts – Refugio de Angel Orús, situated at 2150 m to the S of Pico de Posets & Refugio de Estós, situated at 1890 m to the E of Pico de Posets. Individual arrival in Aínsa, one of the most beautiful medieval villages in the Pyrenees, Check into your charming hotel and explore the twisting streets. 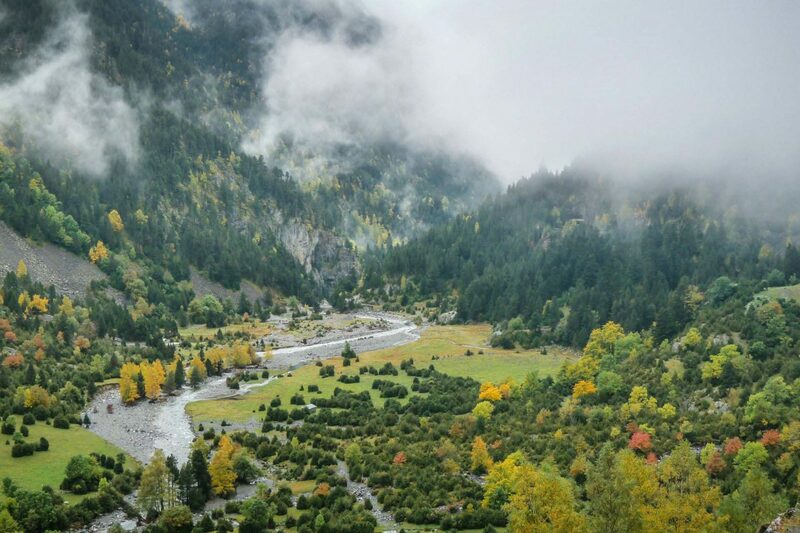 Transfer to the hike start point – accessible by forestry track in 4×4 jeep taxi – in a lovely alpine setting comprising a collection of summer pastures with stone-built cabins or huts, where livestock herders spend the season with their animals. We’ll begin our trekking circuit in an anti-clockwise direction around the massive bulk of Posets, with the high point on the hike being at nearly 3,000 meters! A magnificent day, through wonderful alpine scenery along the southern flank of Posets, crossing into the beautiful and rarely-visited Batisielles cirque. 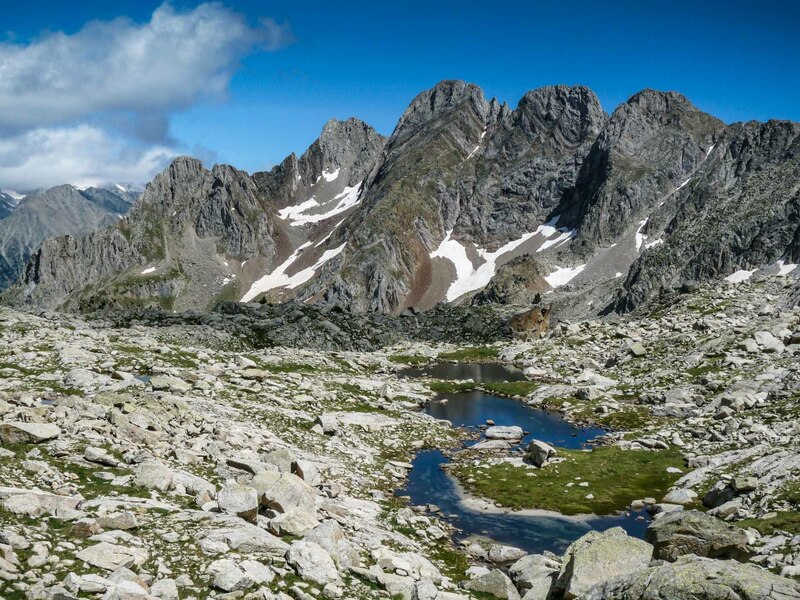 En-route, you’ll visit a collection of glacial lakes known as “ibones” before descending into the Vall d’Estos and your overnight lodgings at the hut. 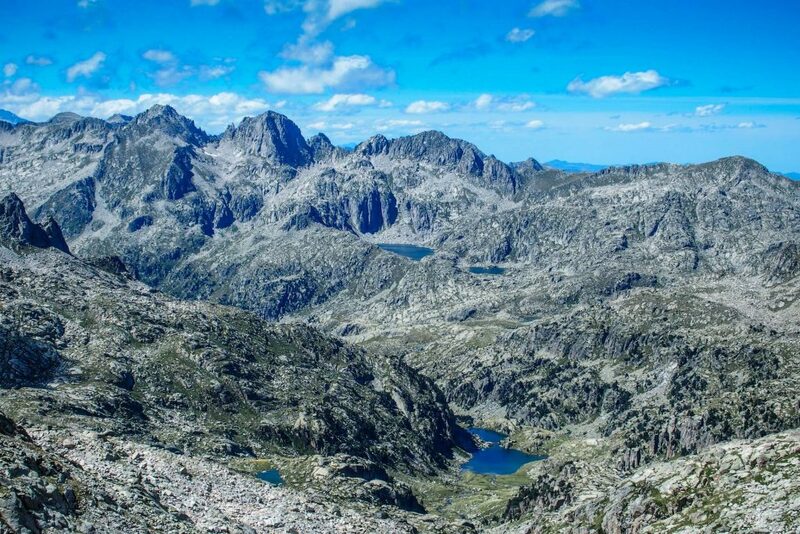 A great final day traversing along the northern slopes of Posets, ascending along the lovely Estós Valley, and crossing a high pass to enter the idyllic Valley of Añes Cruces, with the French border just a short distance to the north. A final descent brings you back to our start point and now end point of our circular trek. A pre-arranged taxi or your own private vehicle to return to your first night’s hotel for the night.